On Tuesday, Mayor Ed Murray announced the location of the two RV encampments. (I first reported the announcement was coming last week). 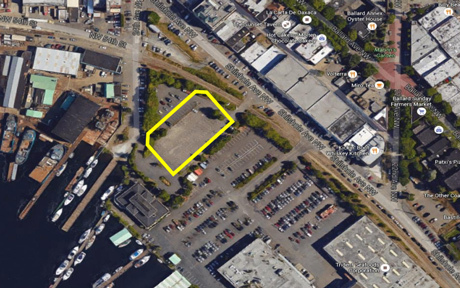 The camps, which will include space for about 50 and other large vehicles, will be located in Highland Park in West Seattle and in Ballard. Murray announced the camps by executive order, allowing him to bypass the city council as well as the usual lengthy public-comment and outreach process that has slowed the opening of other facilities for the homeless, like the controversial tent city in Ballard. Today, the city council voted to approve the executive order, adding some amendments that will allow a third camp and six-month extensions for both camps proposed in Murray’s order. Last week, city council member Mike O’Brien, whose district includes one of the proposed RV parks, told me he was skeptical that the parks would satisfy neighbors (who have demanded that the city impose a total ban on all RVs in the city), given that there are far more RVs in the city than could possibly fit in the camps, and that Seattle’s homeless population is growing every day. I was (and remain) skeptical as well. Even if the city managed to set up enough camps for everyone living in RVs in Seattle (a proposal nobody is making), not everyone would move into them. Even if the city rounded up everyone who stayed away from the camps because they were dealing drugs, running chop shops, or were unwilling to follow camp rules against drinking and drug use, more people would inevitably take their place. (Last year, the One-Night Count of the Homeless found nearly 4,000 people living unsheltered on King County streets; this year’s, which takes place next week, is expected to be even higher.) And even if most of the RV-dwelling homeless had their homes impounded, relocated to camps, or moved on to another place (perhaps a small town where RVs are permitted but services are lacking), history shows that a group of highly motivated homeowners would continue to complain about any visible poverty in their midst. So what’s the point of the RV lots, other than making it appear that the city is doing something about the problem? And does the city have a long-term vision for responding to homelessness, other than rounding people into RV and tent camps and sweeping up all “unauthorized encampments,” leaving desperate people even more vulnerable? I asked Catherine Lester, head of the city’s Human Services Department and the official who explained the mayor’s policy on homeless encampment sweeps on Tuesday, to answer some of those questions. I’ve had an opportunity to talk to a variety of folks leading up to the mayor’s announcement. I think people collectively realize that people who are living in their vehicles represent a unique challenge and that they are just as vulnerable as people living on the street. This action is an attempt to balance the immediate needs that those without shelter are experiencing as well as the neighborhood concerns about people being parked throughout their neighborhoods. We were trying to find locations where there seemed to be already a fair amount of those living in vehicles. Also, there are only so many lots available. I think [the RV parks] highlight the importance: This is a crisis that can’t be solved by us alone at the local level. It highlights the importance of us partnering with our state and federal partners and elevating this conversation to our state and federal partners. There are some resources that cities cannot generate or control. The second thing is that we often assume that one size fits all, and that everyone wants to move to a shelter or that being inside means going to a shelter, and I definitely think being able to access shelter is one piece of it, which is why being able to bring on 288 additional shelter beds since the declaration of emergency in October is a critical part of this conversation. The other part is, how do we help open up the back doors? How do we create housing so that people who are currently residing in shelters can move somewhere more permanent? We need the ability to think about permanency more broadly than just shelter in our outreach and engagement work. There have been people who have expressed wanting to reunify with their families. Sometimes that’s family that lives locally and sometimes it’s family that lives in another state. When people are living in their vehicle, one of the things we’re cognizant of is that oftentimes it’s the last remaining resource or asset that people have. I don’t think the intention is to make people give up their vehicles so that they can move into shelter. We want to listen to what people need and be responsive to that need instead of forcing people to take that option. [One example of being responsive might be] providing flexible funds to say, if you need travel assistance to help you reunify with family members, we want to be able to make that happen. If you need access to medicine and medical treatment which will help you get indoors, we will make that happen. If you need rental assistance getting first and last month’s rent together, we will make that happen. If you need documentation or help with the costs associated with getting your vehicle operational, we will make that happen. Mental health and chemical dependency are often a barrier to people being permanently housed. We want to make those resources available. We do really want to be very assertive in making resources and case management available. The ultimate goal is not for the city to be setting up these safe lots so that people will move there indefinitely. It’s more about creating a temporary space to make services available. At this point, this is very much an immediate crisis response. It’s not a long-term solution to ending homelessness. It provides a safer environment for people who are living in their vehicles. It’s a way to help them navigate the system in way that helps them achieve permanency. I’m not in a position to speculate about whether this becomes a long-term, permanent option in our city. I would say that the city is going to continue to enforce parking laws across the city. The goal is to be patient and very much consistent in terms of how the parking laws are enforced. Our intention is to be patient. If there are people engaging in criminal behavior, however, it’s the city’s responsibility to be attentive to criminal activity. But we also recognize that the opening of these lots does not mean that there will not be people still remaining on the streets. I don’t think Mayor Murray considered this an answer.It is a short term fix. He is looking at other long term “Solutions” to a real problem that will get worse for every neighborhood if it’s not addressed. A lot of these people need proper treatment for mental illness and respectable treatment. Many are our very own Vets and some with their families including children. The V.A. is broken and is not helping these people. Am I correct in assuming these new RV spots have no hookups for electricity, water, or sewer? Merely parking spots that aren’t on a city street?